Bobby Darling's original name is Pankaj Sharma. He himself as well as the Indian media recognizes him as a gay man, who dresses like a woman. He claims that he feels himself to be a woman inside the body of a man. He is the second of three children of a Professor. As a young boy, he played only with girls and wanted to be a woman. In the eighth grade, he started using his mother's lipsticks and saris. In the 12th grade, he had his first serious relationship with a male classmate. His parents took him to a sexologist, a psychiatrist, and even a temple. His father disowned him through a legal notice published in newspaper. He decided to become a dancer, and earned Rs. 170 for his first performance. He decided to become an actor after reading Bollywood actress Rekha's interview, in which she said: "If you're famous, people love you for being famous. They don't care about your personal life." He struggled for two years before he started getting small roles in films. 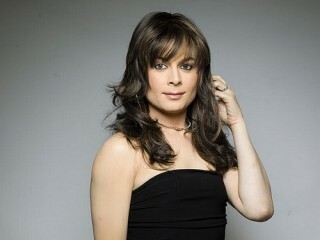 He started getting known as Bobby Darling. Bobby Darling has worked in many Hindi films such as Taal, Style, Na Tum Jaano Na Hum, Maine Dil Tujhko Diya, Stumped, Chalte Chalte, Valentines Day, Page 3, Navarasa, Kyaa Kool Hai Hum, Apna Sapna Money Money and Tum. He has also worked in TV serials such as Jassi Jaissi Koi Nahin, Kyunki Saas Bhi Kabhi Bahu Thi, Yeh Dil Chahe More, Kittie Party, Kahin To Milenge, Kahi Kissi Roz, Kyon Hota Hai Pyar, Hum Paanch, and Professor Pyarelal. He is still a struggling actor but is making his daily earning and living in Mumbai.